The Strategic Management Department has launched a new research project in cooperation with Nestle Egypt. The research aims at evaluating the social impact of one of Nestlé’s international CSR programs named 'healthy kids'. The research will also involve evaluating the impact of the project on Nestlé’s employee engagement, organization innovation, and customer satisfaction. The project evaluation will be carried out in various public schools in nine different governorates in Egypt. After the evaluation is finished, the project team will work on analyzing the data received and generate different strategies for Nestle Egypt to better manage its CSR program and have greater impact on the organization and the society. 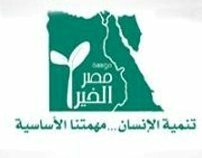 Misr El-Kheir foundation (MEK) sponsors a 2-year project on “Poverty Alleviation through Islamic Micro-financial Product Development: Potentials for NGOs and the Respective Consumer Acceptance in Egypt”. A multi-stage empirical study explores the potentials of poverty alleviation through micro-Islamic financial product development and examines consumer acceptance of the innovations. Copyright © 2011 GUC. All Rights Reserved.